Father’s Day 2017 is this weekend and if you haven’t gotten a gift for your dad yet but looking for a last minute gift idea for him, we got you covered! 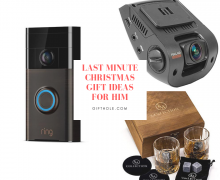 Check out our Father’s Day gift ideas below! This is an awesome Father’s Day gift that will be useful for him and, well, anyone else he shares the bathroom with! There won’t be beard hairs all over the place anymore if you get him this beard catcher apron! 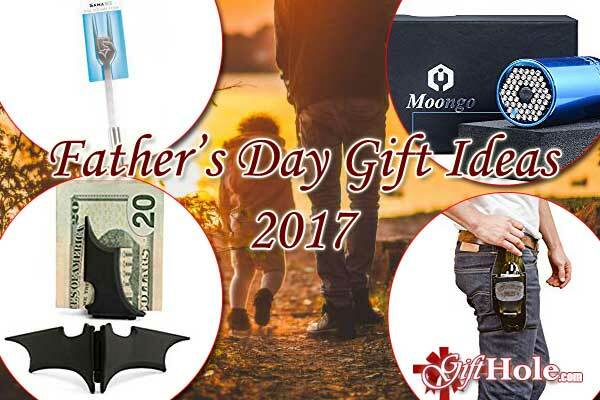 It doesn’t matter if he’s a father or not, if he’s a Batman fan and he uses a money clip instead of a wallet, this would be a perfect gift for him! I’m not even a father and I want one myself! Summer’s here so that means there will be plenty of cookouts and BBQs so have your father man the grill like a rockstar with this BBQ Rockin’ Fork! Don’t you hate when you drink a big mug of beer and you can’t see the TV anymore while you’re drinking? Well, don’t let that happen to your dad! With this Slanted Beer Mug, he’ll be able to watch TV as he drinks! If your dad is like Superman in your eyes and he loves to grill, get him this Superman BBQ Apron because it’ll suit him well! 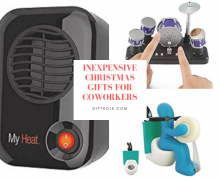 Yes, the joke would be it’ll be his favorite gift so he doesn’t have to listen to your mom but I’m sure he’ll really enjoy using them regardless if he’s trying to not listen to his wife. If your dad is a handyman, make it handy for him and get him this universal gator socket grip wrench bushing set so it makes it so much easier for him to fix things around the house! Forget carrying around your cold beer in your hands while you socialize, get your dad a beer holster so he can get it whenever he’s ready to drink without having his hands cold! Help your father out with his nose and ear hairs, because we know it’s way too long! This Panasonic trimmer has a vacuum cleaning system so there won’t be his nose hairs all over the place! Car dash cam’s are extremely handy so why not get one for your dad and help him out with it? 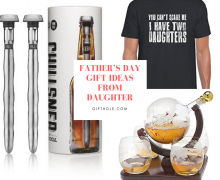 Those are some useful Father’s Day Gift Ideas for you guys. What are some of your favorite Father’s Day Gifts?